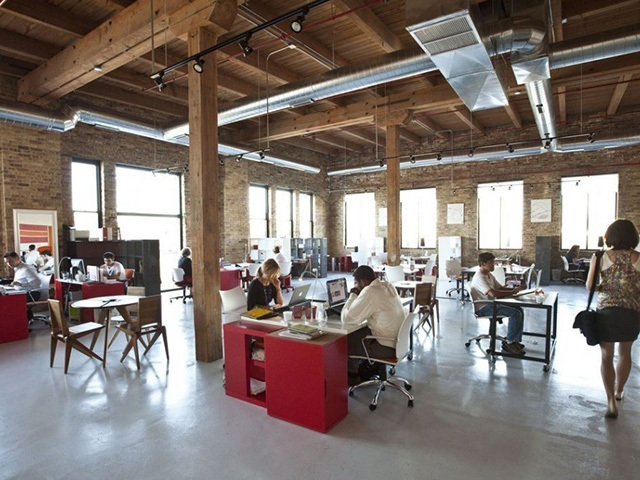 Co-working spaces, executive offices, membership “clubs,” serviced office leases…there are many names for this trend. Analysts estimate it is a $2B business and growing! From entrepreneurs to solo practitioners to small groups to employees of large corporations, co-working spaces are on the rise and the benefits are proving attractive and profitable for both individuals and corporations alike. There are many reasons for this, discussed in the Harvard Business Review article below. Here at OneCloud Networks, we too have seen a rise in co-working spaces. Some are executive office suites, or membership type environments, others are focused on particular verticals such as attorneys or CPAs. Whatever the case, we have seen these environments moving to value-add solutions and becoming a one-stop-shop for all their member or tenants’ needs. As people look to move to a co-working space, adding more headaches to their plate is not what they are looking to do; in fact, quite the opposite. While they are looking to collaborate on various levels, gain some structure while still maintaining flexibility, they are also looking to establish immediate professional presence, which means walking into a ready-made solution—one they find so valuable, they are ready to pay for it. OCN works with co-working environments to turn a former cost center into a revenue generator, and create a win for the end user at the same time. Previously these environments either left members to identify various services themselves, such as phone service and collaboration capabilities that are enabled by unified communications solutions, or they provided them as part of the service and as a cost center for them. However, this becomes a lose-lose situation when the co-working environment solution is trying to reduce overhead expense and lower their cost centers, while the members are looking for a professional value-add and more sophisticated solutions than they might get on their own (or have to shop for and evaluate individually, often where this is not their expertise). As OCN works with our clients, we turn this into a win-win! We work with our clients to develop packaged solutions that work for their members. Packages can include cloud PBX phone service with auto attendant and hunt group if needed; unlimited long distance; online fax; collaboration capabilities such as sharing documents, audio conferencing and video calls; and potentially even integration of these capabilities with their CRM, practice management or other business management systems. We can port numbers, which is critical to most business professionals. And an even greater value add, with the solution in the cloud, it is available to the end user wherever they may be…working from the beach house this summer, no worries. The full solution is available from computer, mobile, tablet, deskphone…anytime, anywhere. Enjoy the patio, work poolside, your professional appearance will always be the same and calls will come from your business number. Take a look at the Harvard Business Review article below to see why so many professionals are turning to co-working environments.